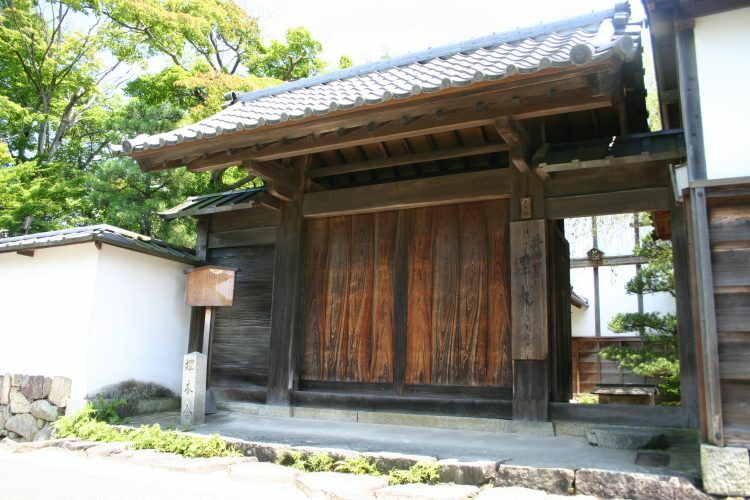 Naosuke Ii, of the Ii samurai of Hikone, spent his youth in this lodge. The name "umoregi-no-ya," or bogwood house, is attributed to a poem written by Naosuke himself, in which he wrote that, "Even if a buried bogwood tree turns its eyes from the world, its spiritless form is buried not." This is the lodge where Naosuke Ii, the 13th lord of the Hikone Clan, spent his days in ascetic style from the age of 17 to 32, applying himself to the pursuit of learning and martial arts. Later he was promoted to an important office in the government of Edo (Tokyo), and played a crucial role in deciding to open up Japan to the outside world. His contemplative days at this lodge must have provided him with unusually broad vision.